It’s commonly believed among paranormal investigators that spirits draw energy from their surroundings when attempting to interact with the enviorment, two byproducts of this being EFM (electromagnetic field) fluctuations and drastic temperature changes. 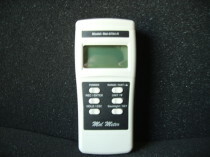 The Mel meter is designed specifically for paranormal investigators. It detects EMF and ambient temperature. Based upon numerous experiences in the field, it is widely accepted among paranormal investigators that spirits draw an ambient energy when attempting to manifest or interact with an object. As a result, investigators believe the entities give off an elctromagnetic frequency that can be detected by EMF detectors. 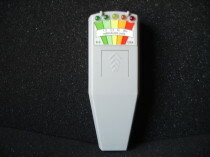 The K2 is a type of EMF detector that uses ascending lights to signal an EMF spike. A meter that detects changes is weak static (DC or Natural) electric and magnetic fields. Man made AC and electric magnetic fields are common and can interfere with readings of static fields. This meter has been designed to ignore AC fields as opposed to the Mel meter and K2. 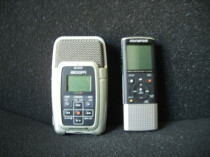 There is speculation that entities are able to use the internal mechanical “white noise”(an electronically produced steady, unvarying, unobtrusive sound) of a recorder to help them communicate a sound or message, resulting in an EVP (electronic voice phenomena) that generally isn’t heard by the investigator at the time of the recording. Spirits often manifast visually as apparitions, mists or shadows. IR cameras are set up in single locations reported to have paranormal activity. 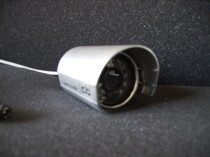 IR cameras record much clearer video at a high resolution in the dark and are good for capturing object manipulation, shadows and odd light anomalies when little or no light is present.